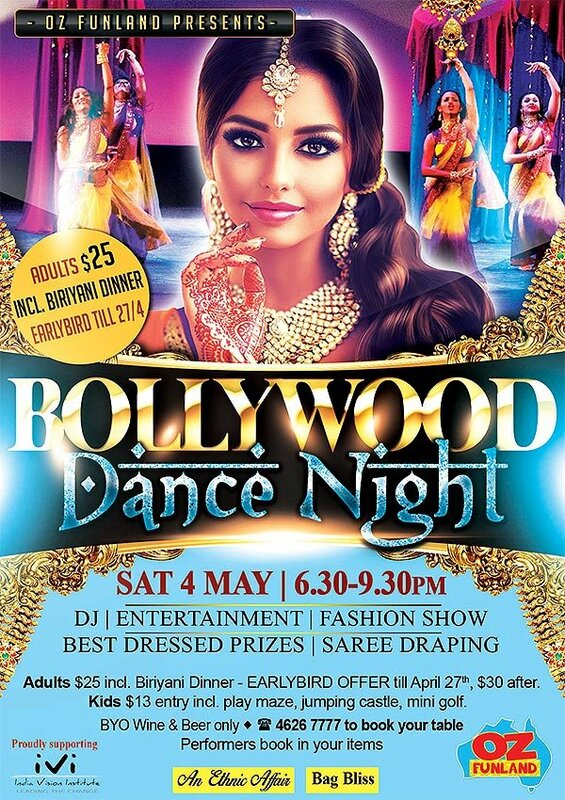 DJ | Entertainment | Fashion Show | Best Dressed Prizes | Saree Draping. Adults $25 incl. Biriyani Dinner – EARLYBIRD OFFER till April 27th, $30 after. Kids $13 entry incl. play maze, jumping castle, mini golf. CLICK HERE to book your table, or call 4626 7777. Performers book in your items.